Dead men live among us. Waiting in line for coffee. Cheering beside us at the ball game. Selling insurance. Liking our posts on social media. Eating at the corner table in the restaurant. Some are in the next pew over every Sunday. Some teach small groups and fill pulpits. Perhaps one is reading this book. And I’m not talking about a physical zombie apocalypse. I’m talking about those living among us who are spiritually dead. 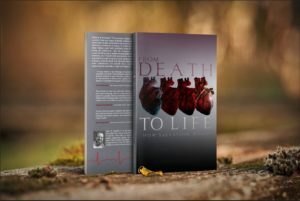 The above is an excerpt from Chapter 2 of my new book From Death to Life: How Salvation Works. 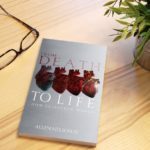 In this chapter, I lay out some of the misunderstandings we see today, even in conservative evangelical churches, of how salvation works and lay out some of my reasons on why a book like this is necessary in the first place.? I’d like to offer you the opportunity to download the whole chapter in .pdf form for free. Just click the link below. (Seriously, it’s free. You don’t have to sing up for anything or even tell me you got it!). 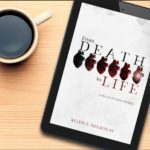 If you enjoy the chapter I’d love to hear some feedback. If you’d like to purchase a copy, for the remainder of September you can get one for $9.00 (and this?includes?shipping)! Just go here, fill out the form, and mention this blog post (the price will say $12, but just mention this blog post and I’ll send you a link so you can grab it for $9). If $9 is too much you can grab the Kindle edition for $4.99 over at Amazon. There is also a free 9-Week Small Group Study Guide to accompany the book. Click the link below to grab that as well! If you’d like to order more than one copy of the book, let me know and I’ll work with you on an additional discount. 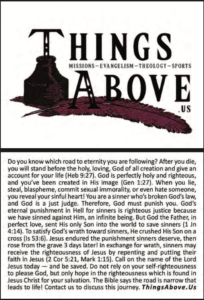 This comes from a sermon Paul Washer preached at the True Church Conference in 2007. Yes, we do have Matthew 16:18. But we must not think that this promise guarantees the church in the United States will forever endure. Jesus has the right to remove our lampstand (Revelation 2:5). Saw your free chapter download and thought it would be good for pushing out to our 7000’ish Free Sample Chapter email subscribers. It runs $475. If you would like more information or to book it, please contact me at Scott@FrontGateMedia.com. ?? Scott, thanks so much for reaching out! This is just not in my budget to do right now. :-/ Perhaps if I sold some more I could try it. God bless.